Throughout my life, I’ve tried a variety of sports. I did CrossFit for two years before I decided to compete in weightlifting. 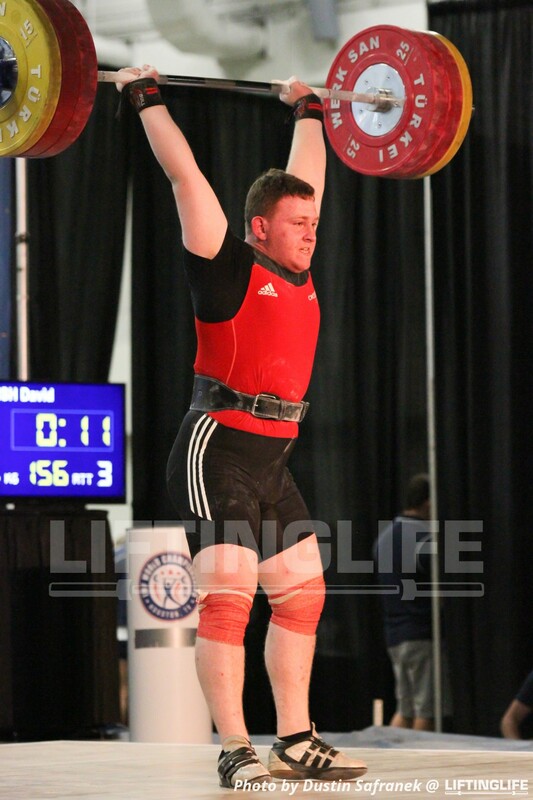 After the 2014 Youth Nationals, where I got bronze overall, I decided to commit fully to weightlifting. 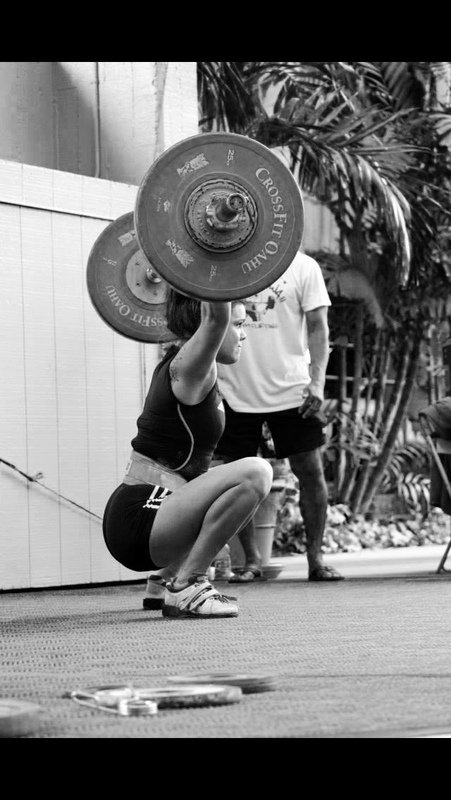 Who have been some of the biggest influences in your development as a weightlifter? 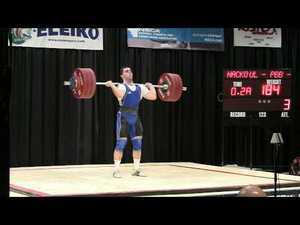 My coach, Serhiy Skoryk, and my father have been great influences in my development as a weightlifter. If it weren’t for them, I wouldn’t be where I am today. Coach was a weightlifter and a Master of Sport of the Soviet Union, which is one of the highest honors a weightlifter can achieve. He was also the head coach of the Lithuanian Youth National team and oversaw 200+ athletes. Everything that he’s done in his career, as well as all of the accomplishments of his athletes push me to try and be the best athlete he’s ever coached. Also, his coach was one of the most famous coaches in weightlifting— Rudolf Plyukfelder, the 1964 Olympic Champion in the 82.5kg class. Plyukfelder coached many Olympic champions such as David Rigert, Vasily Alekseev, etc. Because my coach’s coach was so successful in training athletes, I hope to make my own coach just as successful. My dad has been a huge influence because, without him, I never would’ve gotten into the sport. Ever since I was a little kid, he would push me to the best of my abilities—and beyond. He would never let me win. Instead, he taught me how to never quit, and how to always keep fighting to become the best. That determination and drive has helped me with every step in my career thus far. How did you get involved with Iron Athlete? 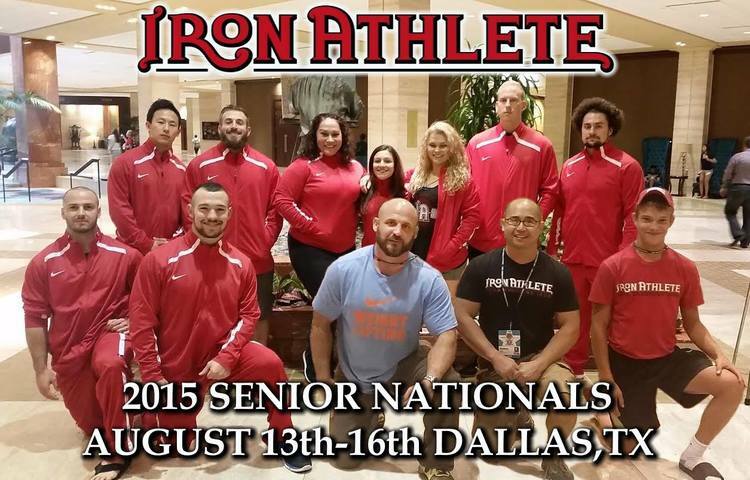 My good friend Bret Pfeiffer helped me get in contact with Iron Athlete and from there Jeremy welcomed me to the team. Can you give us a brief overview of your current training schedule? I train 4 days a week, twice a day on Sundays, for about 2-2.5 hours a session. I do a lot of accessory work—mostly a lot of pulls, squats and various presses. An average day consists of going to school then heading home and either resting or waiting to go down to my garage for training. What are your hobbies outside of weightlifting? I like to play billiards and love listening to music. Do you have specific goals that you’re working toward as an athlete? My main goal is to win gold at the 2020 Olympics in Tokyo. What about goals outside of lifting? I’ve never pictured my life outside of the sport so I don’t have any goals outside of lifting. Where can people go to find and follow you?